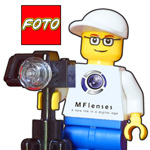 Posted: Wed Dec 05, 2012 5:46 am Post subject: Visoflex on Mirrorless ? Just checking if someone here has tried this - using a mirrorless body like a Nex with the old Visoflex system or others of its imitators. The idea is that of adding an SLR-like reflex optical viewing system to a mirrorless digital, just like one could use on rangefinder cameras of old. Old Visoflex systems aren't very expensive and some of the imitators like Accura and Kilfitt are even cheaper. One should be able to mount these on a Nex with a standard Leica adapter, and mount some tele lenses at least, or bellows. Since mirrorless cams aren't very good for telephoto work, this may be a workaround. Posted: Fri Dec 07, 2012 9:23 pm Post subject: Re: Visoflex on Mirrorless ? I found this after a quick search. Some time ago i saw a picture of an Olympus PEN with a Visoflex mounted. I'm using my Visoflex lenses on my mirrorless cameras but without the optical system as I find it better to use the digital focus peaking and magnification functionality of the cameras instead. Therefore I use the Visoflex to Nikon adapter and additionally the respective Nikon to mirrorless camera adapter. I use my Elmarit 90/2.8 and Elmar 135/4 lens heads on the Leitz 16464K close focus helicoid for Visoflex and the M39 Telyt 200, 280 and 400 mm lenses for Visoflex that way. I can use my visoflex lenses attached to my Sony A7 via extension tubes. I have been using it as its supposed to on the Leica. Actually not that much slower than a regular SLR.